Yes! 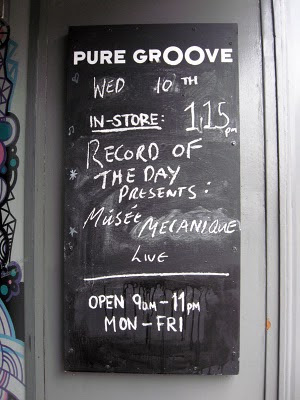 I finally got to see Musée Mécanique (allbeit at a Pure Groove free lunchtime show). Here's a shoddy photo taken with my basic but ever reliable little camera. It was a real pleasure to meet the three band members currently on tour (they left two at home in Portland). 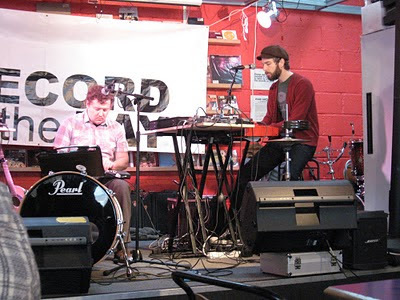 Their live music was everything it is on the record, calming and brilliant. Highly recommend you buy 'Hold This Ghost' and find yourself some relaxation time to fully appreciate its brilliance.